The Mets beat the Nationals 2-0. The win wrapped up a series win on the road and pulled the Mets within 0.5 games of first place in the National League East. 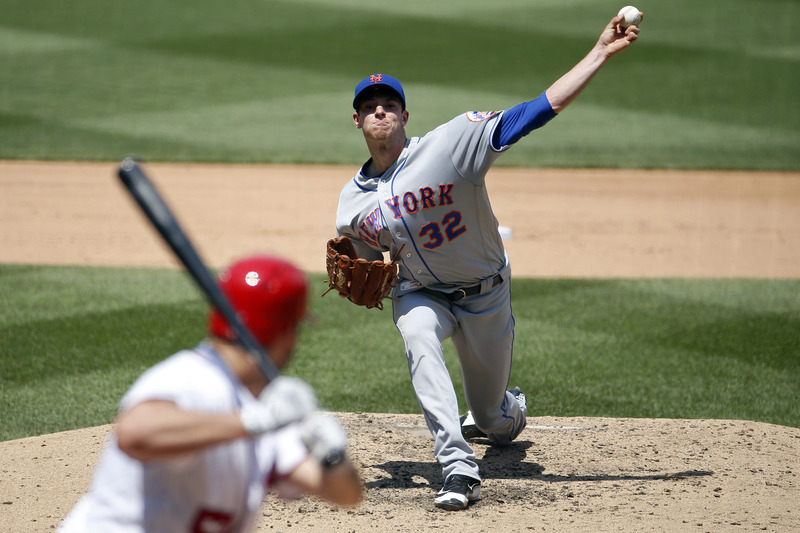 Steven Matz was the story of the game, tossing eight scoreless innings and struck out seven while walking just one. Matz’s fastball was crisp, his changeup was tough to handle and he stayed ahead of batters. He threw 71 of his 104 pitches for strikes. It was nothing new. In the seven starts since Matz’s disastrous 2016 debut, where he gave up 7 runs in 1.2 innings pitched, the southpaw has given up six runs total. He has more scoreless outings than ones in which he’s allowed a run (four to three). After his showing against the Nationals, his season ERA stands at 2.36 and his FIP 2.51. On the season, Matz has struck out 9.1 batters per nine innings and walked 1.6. Noah Syndergaard has overshadowed Matz, but one can read that to mean that Matz has been the Mets’ second best starter in 2016, which is a surprise, and also true. The story of yesterday’s game is bigger than yesterday’s game. Some bitter undercurrents accompanied the sweetness. For one, Eric Campbell started at first base a couple days after the Mets learned that Lucas Duda will be out indefinitely with a fracture in his back. It’s not a symbol of how worrying that loss might be, at least as far as internal options are concerned, but the reality of it. To boot, the Mets only scored two runs. If Matz didn’t pitch as well as he did and the Mets lost 3-2, this game would feel much different. One of those runs came from a welcome place. David Wright hit his second home run in as many games; this one was a first inning solo home run to left field off of Nationals’ starter Tanner Roark. But the homers won’t erase justified worry about Wright’s future. Indeed, the final out of the game was a groundball to third base that took Wright just long enough to get to first to cause the viewer to wonder if he’d make it in time. The Nationals gifted the Mets their other run. With a run on first and one out in the seventh, Campbell grounded a tailor-made double play ball to second baseman Daniel Murphy. Murphy booted it and didn’t get an out. Matt Reynolds advanced to third base on the error and scored on a René Rivera single. Oh, and Matt Reynolds played at shortstop. Asdrubal Cabrera was in the lineup to begin the game, but Reynolds replaced him before Cabrera did any actual playing. During the game, word came that Cabrera was out due to back spasms. The Nationals had a couple of late opportunities. The (relatively) slumping Bryce Harper didn’t start the game, but he had a chance to change it. With two outs in the eighth inning, Clint Robinson singled off of Matz, and Dusty Baker pinch-hit Harper for the next batter due up, Michael Taylor. Harper represented the tying run. After falling behind 2-0, Matz painted the outer edge of the zone for a called strike one. He tried to get it there again, but the ball drifted over the meaty part of the plate. Harper missed it though. He grounded out to second base to end the threat along with the inning. The ninth inning was tense as well. Jeurys Familia entered to try and secure the save, but Jayson Werth and Daniel Murphy met him with back-to-back singles. After Ryan Zimmerman struck out, Anthony Rendon hit a laser to Campbell at first. The Mets got the force out at second but weren’t able to turn two. Familia got Wilson Ramos to ground out to Wright at third to end the game. The Mets are off today and welcome the Dodgers to Citi Field for a three-game set starting Friday.